Prev The bullying epidemic Next When is it okay to lie to children? What lessons do you want to leave your children? In September of 2006, Randy Pausch, a professor of computer sciences at Carnegie Mellon University, was diagnosed with pancreatic cancer. Pancreatic cancer is, plainly speaking, the worst kind to get: survival rates are extremely low, and the end usually comes within months of diagnosis. So when Professor Pausch was told in the summer of 2007 that the cancer had spread and he had only a few months to live, he elected to step down from his position to spend more time with his family. But before he did, there was time for one last lecture. Carnegie Mellon has a lecture series called the Last Lectures—what kind of lecture would you give you if you knew you were on your way out? For Pausch, the question is, of course, not hypothetical. So he gave his lecture, and before long it was uploaded to Youtube, where it was viewed kabillions (technical term) of times. So popular did the lecture become that Pausch gave an abridged version on a show hosted by a certain Oprah person; the lecture is also now available in print. The topic of Randy Pausch’s lecture was “Really Achieving your Childhood Dreams.” It’s a topic he would know something about, as he is in the enviable position, even at the relatively young age of 46, of having achieved his. In the lecture, he talks about how he achieved his dreams, from becoming a Disney Imagineer to experiencing zero gravity. During his talk, he dispenses nuggets of wisdom: Show gratitude. Don’t complain. Work hard. Find the best in everybody. Have fun. At the end of his lecture, he reveals the true purpose of his talk. It wasn’t meant for the 400-something people in the audience that day (nor the thousands who have watched it since); the lecture was meant for his three young children, whose memories of him will be dim at best. His lecture is a wonderful gift to his family, and it left me wondering: what would I leave my son, if I knew I was on my out? I didn’t think I had much in me, advice-wise, but then I sat down and thought about it (without crying, which is unusual for me when it comes to pondering my own death and thinking about Henry), and here’s what I came up with. 1. Pay attention. Wherever you are, whatever you’re doing, in that moment, there’s something to be learned. Find out what it is. 2. Notice what makes you curious. If you want to learn more, that’s a sign. Keep moving toward that thing. If the topic doesn’t interest you, don’t force it. 3. Withhold judgment. You never know the whole story about a person. No matter what you think, remember, there’s always more you couldn’t possibly know. 4. Respect your feelings. If someone makes you feel bad, you have the right to keep away from that person, even if they seem to be “nice. “Especially if they seem to be nice. 5. It’s okay to be angry. Just don’t take it out on other people. Or yourself. Let yourself feel your anger. Write it out. Yell into a pillow. Whatever you need to do. 6. Same goes for feeling sad, by the way. Sometimes it’s hard to tell the difference. 7. Find people who you feel good around, smart and funny and kind, and don’t let them go. Aim to be like them. 8. Tell the people you love how much they mean to you. Use specifics. 9. Take care of yourself. You can’t give all you were meant to if you’re not 100%. 10. Notice how good helping others can make you feel. Don’t be ashamed to ask for help, if you need it. We need to help each other, in this world. Let your friends take care of you sometimes. I could probably think of 100 more, now that I’ve started. It’s a good feeling, because I was about 90% sure I had nothing to say except OH GOD DON’T LET ME DIE. So that’s a relief. Now it’s your turn. What would you want your children to know about life, if your time was running short? 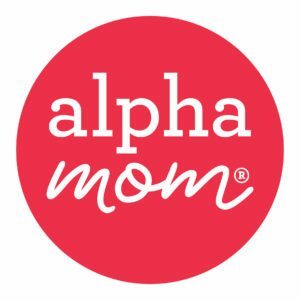 Alice Bradley was a regular contributor to Alpha Mom, writing about current events as they related to parenting. You can read about her daily life at her personal blog, Finslippy. I’ve thought about this in recent years, because I’ve known people faced with mortality at young ages. Your list is wonderful–I would only add two things for my children…truly listen when others talk to you, and take time daily to appreciate nature’s beauty. I’m a little choked up thinking about this, but no tears…am I stellar or what?? I started to write a comment and then it got really long so it ended up evolving into a post. I hope you don’t mind. There are a lot of things I want my son to know. I want my daughter to learn how to be cheerful, how to stay optimistic despite disappointments, and to minimize fruitless worrying. I don’t mean to say that we shouldn’t be realistic, or that we shouldn’t prepare for bad times… but isn’t a life of optimism a happier one than a life where one is always thinking about the next thing that could go wrong? I just watched the lecture on youtube this week also. It is painful to think about dying before your child(ren). I think the most important advice I could pass on would be to surround yourself with people who make you laugh. I’m just happy to steal your suggestions. I guess my last lecture would be the last plagiarized lecture. This is amazing. I have much food for thought. This is on my mind constantly as I lost my 41 year old sister to cancer in January and a very dear friend is facing his impending death from cancer at 46. The Last Lecture was wonderful, his children are blessed to have a dad that could be so clear thinking and articulate at a time when most people cannot fully grasp that they will not live. I’m so glad I started a blog for this very reason. Hopefully, as our children grow older, they will go back and read the stories that I wrote about them in their youth and feel the overwhelming love and insanity they brought in to my world. For my 100th blog posting, I wrote 100 tips that I hope our children will carry with them in life. The Pausch video is a real tear jerker and yet, such an amazing reminder of how precious our time on earth is. Nice job Alice. I think that’s beautiful. Grow a few things to eat. I know that doesn’t sound like much, but we all eat, and it all comes out of the ground. It’s probably wise to understand that connection as you go through life. 11. Add hot fudge whenever possible. I think he said something about his parents letting him draw on the walls of his room as a child. I liked this b/c my parents let me do the same thing. However, while he was drawing science equations and technical pictures, I was coloring in a rainbow and putting the finishing touches on an AC/DC logo. So, while I guess it is a nice thing to let kids do, don’t expect that all of them will grow up to be brilliant, amazing human beings. I just finished watching Randy Pausch’s lecture. I can honestly say it’s one of the most moving and heart-wrenching speeches I’ve ever heard. Thank you so much for sharing this. Glad you mentioned God at the end there. The message that there’s a God who loves us is the number one thing I’d want my kids to know on my way out, and that He promised we could be together again someday. Thank you for this link. Very poignant. To leave this Earth in better shape than you found it. I would tell my kids that high school is only a short time in your long life. Don’t let it change who you are. I thought the same thing when I saw the lecture. I have nothing to pass on to my son! I’ve acheived nothing in my short life! But I could probably think of something, like your #3 for instance! I am always saying this, especially to certain specific people, er, my sister-in-law for example. I love these. I think maybe I’ll just give her your list. I keep thinking that all I’ll want to tell me kid is: DON’T BE LIKE ME. Just kidding. Sort of. i saw him last week on primetime with diane sawyer and must say he really was quite the inspiration. one of my favorite parts, which was very applicable advice to young children, was decide who you want to be…tigger or eyore. i also liked obstacles are there to keep some people out and to only allow those in who want something bad enough. I will encourage them to take some risks so not to have regrets. Take that road less traveled sometimes. Don’t be like many people who look back and say that they wish they had done this and that in life before before it was too late. Try skydiving, travel through Europe, join the Peace Corps – anything that is a desire even though it is slightly out of their comfort zone. They will walk away stronger and smarter – looking back at their conquests with pride. BE PARTICULAR, because really, when you think about it, what doesn’t that cover? From the friends and lovers you choose to the amount of exercise you get to your “particular” brand of face wash. Just be particular! I guess I’d say, Don’t be afraid. Or even when you’re afraid, be brave anyway. I’ll probably think of more later, but like reen, I’m about full-up right now between your post, to which I felt nothing needed to be added, and then the comments, which add some wonderful things. Oh, today I wish you were my mom! How wonderfully written! I have a little book where I write down quotes and wonderful things that other people have written. Things that I want to remember. I got it out before I even started reading your list, just by the introduction I knew it was going to be brilliant. It was. I wrote the whole thing into my little journal and I love it. Thanks. “Normal” is boring. “Normal” is not a goal, it is a default. Strive to be so much more than normal. Now, I’ll admit that our brand of not-normal isn’t everyone’s cup of tea. We have 6 well-behaved kids, homeschool them all, very happily married, debt-free, no TV, … the list goes on.